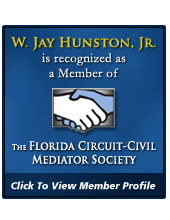 W. Jay Hunston, Jr., P.A. 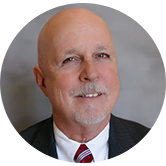 Effective Dispute Resolution August 2018 – W. Jay Hunston, Jr.
Just published a new article on evaluative mediation and the pitfalls of forming opinions as to settlement value or outcome. Published in The Neutral. 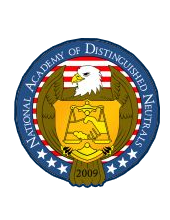 Click here for article: https://www.flcourts.org/Resources-Services/Alternative-Dispute-Resolution/The-Neutral Check it out!